Captain Marvel has been the topic of controversy before its release when Brie Larson, who stars as the titular hero, made comments about there being too many white men at press events. This resulted in angry fans posting negative comments on Rotten Tomatoes and others wanting to boycott the film. That wasn’t enough to put a dent on the movie since it opened with over $153 million at the box office across the nation. With the second weekend over, the film has now earned over $760 million worldwide in just 12 days. Captain Marvel crosses $760 million, and analysts believe that it will eventually reach $1 billion. It still has to open in Japan this Friday. This is a great time for female-led superheroes since Wonder Woman was also a huge hit with a sequel coming out next year. With the success of Captain Marvel, Marvel Studios and Kevin Feige should be happy with Carol Danvers leading the Marvel Cinematic Universe after Iron Man and Captain America. Fans can see Captain Marvel mingle with the other Avengers in Avengers: Endgame. She was seen in the latest Avengers: Endgame trailer, which has gained 268 million views in just 24 hours. The film is directed by Anna Boden and Ryan Fleck and written by Boden, Fleck, Geneva Robertson-Dworet and Jac Schaeffer from a story by Nicole Perlman (Guardians of the Galaxy), Joe Shrapnel, and Anna Waterhouse. It stars Brie Larson as Captain Marvel, Samuel L. Jackson as Nick Fury, Ben Mendelsohn as Talos, Djimon Hounsou as Korath, Lee Pace as Ronan, Lashana Lynch as Maria Rambeau, Gemma Chan as Minn-Erva, Algenis Perez Soto as Att-Lass, Rune Temte as Bron-Char, McKenna Grace as young Carol Danvers, Clark Gregg as Agent Coulson and Jude Law as the Starforce Commander. You can now watch Captain Marvel in theaters. 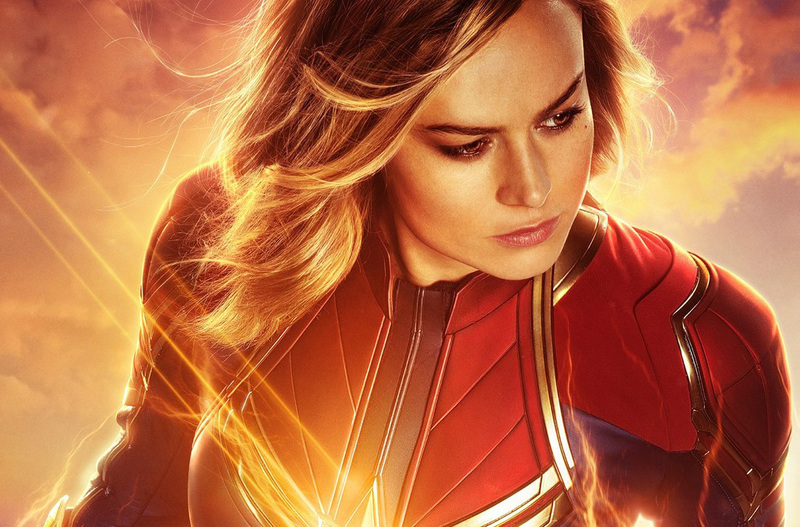 The post Captain Marvel crosses $760 million worldwide in 12 days appeared first on Nerd Reactor.